Last November, ahead of the House of Commons vote on the elimination of the Canadian Wheat Board purchasing monopsony, the federal Minister of Agriculture, Gerry Ritz, and his provincial cohorts from Alberta and Saskatchewan held a press conference to celebrate the achievement of the federal Conservative Party’s long-held policy objective. Alberta Agriculture Minister, Evan Berger proudly declared that “I believe we are giving back a property right, a freedom of choice, to farmers who make large investments, who have the wherewithal to sell their grain to whomever, whenever, at what price they see fit.” When asked why Stan Struthers, Manitoba’s Agriculture Minister, was absent, Minister Ritz derisively explained that, “Mr. Struthers and his government continue to be mired in the past.” But just what that past is remains unclear in the political and media debate over the fate of the Canadian Wheat Board. 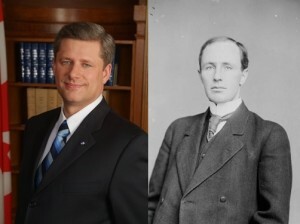 History, of course, plays a very significant role in this debate because this is not the first time the Conservative Party has tried to eliminate the Canadian Wheat Board. 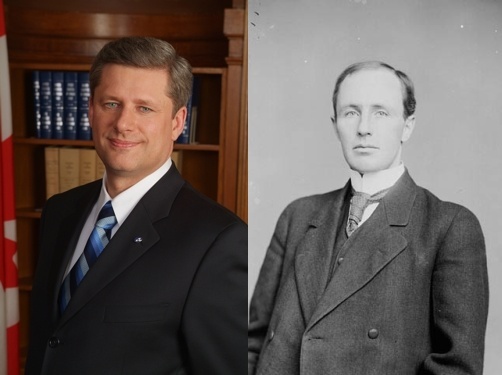 In 1920, Prime Minister Arthur Meighen pulled a “mean trick” on Western Canadian farmers by eliminating the Canadian Wheat Board and reinstating the Winnipeg Grain Exchange as the predominant institution of the Canadian grain trade. 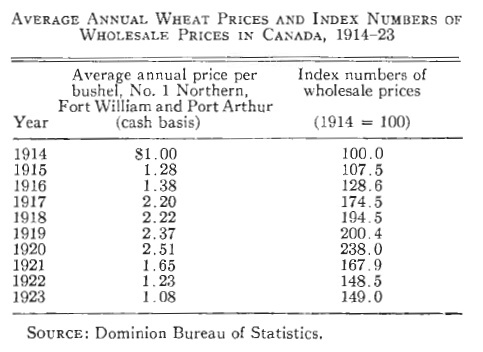 After four consecutive wheat harvests sold under a state-controlled market, Meighen’s Conservative government sought to restore an open market in wheat which had been suspended since 1917. 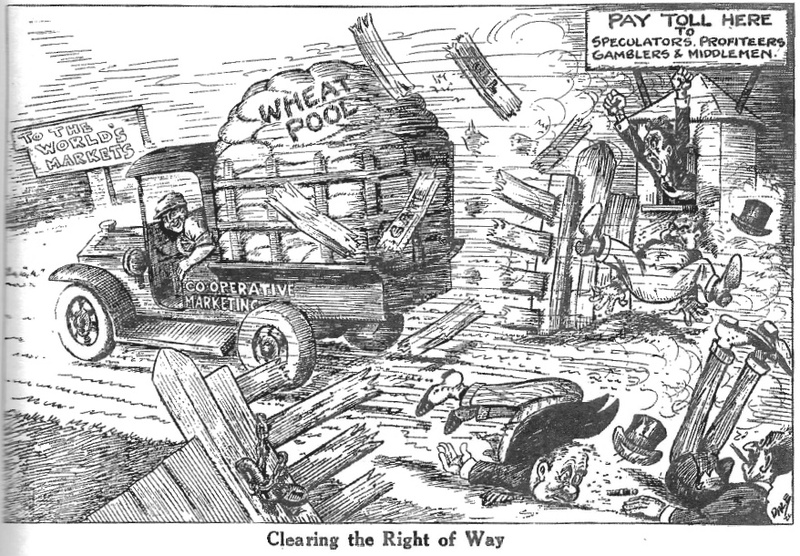 From 1931 to 1935, the Canadian wheat trade suffered from the dual environmental and economic disasters of the Great Depression and was highly modified by federal government liquidation and stabilization activities before the re-establishment of the Canadian Wheat Board in 1935 under a voluntary government marketing system. Finally, after more than twenty years of farmer protest and agitation, the monopsony authority of the CWB was restored in 1943 and persisted until 2012, nearly seventy years. Western Canadian farmers have not independently sold wheat on a fully open market as independent sellers since 1922. That market operated for just two years before it was abandoned by many farmers in favour of cooperative wheat pools. This means that there is likely no Canadian with living memory of a truly open wheat market in Western Canada. 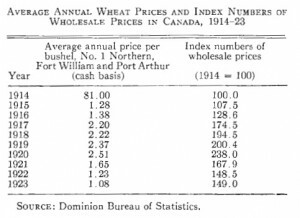 Furthermore, a sustained open wheat market has not operated in Western Canada for longer than a two year period since before the Great War, nearly a century ago. Therefore, forcing Western Canadian wheat farmers into an open market constitutes a radical economic transformation to a market condition that last existed when the horse was the predominant form of transportation in Canada. Who then is mired in the past? Many prairie farmers preferred government purchasing and marketing of wheat and opposed the decision of the Meighen government to eliminate the Canadian Wheat Board. The CWB system offered stable wheat prices and often higher wheat prices than that which could be obtained through the futures market on the Winnipeg Grain Exchange. The decision of the federal government to rescind the CWB purchasing monopsony does not, in fact, return Western Canadian wheat farmers to a fully open market system because the CWB will continue to operate on a voluntary basis as it did from 1935 to 1943. The current Conservative government has framed its policy shift as an attempt to restore the rights of farmers to act as individual commodity producers, ignoring the history of cooperative wheat pools in the prairies as an alternative to a truly open market. Farmers may choose not to participate independently on the open market and instead choose the path of their predecessors and stay with the government-supported cooperative wheat pool of the CWB. After all, in an open market with many more sellers than buyers, commodity prices will be driven down as sellers compete with one another and profit-driven buyers benefit from a flood of supply. John Herd Thompson, Harvests of War: The Prairie West, 1914-1918 (Toronto: McClelland and Stewart, 1978) 61. Vernon C. Fowke, The National Policy and the Wheat Economy (Toronto: University of Toronto Press, 1973 ), pgs. 171-173. The Grain Growers’ Guide, 31 December 1919, pg. 8. Fowke, The National Policy and the Wheat Economy, pgs. 196-197. This is the first part of a three-part series on the history of the Canadian Wheat Board and the implications of the recent policy changes of the federal government concerning the CWB.